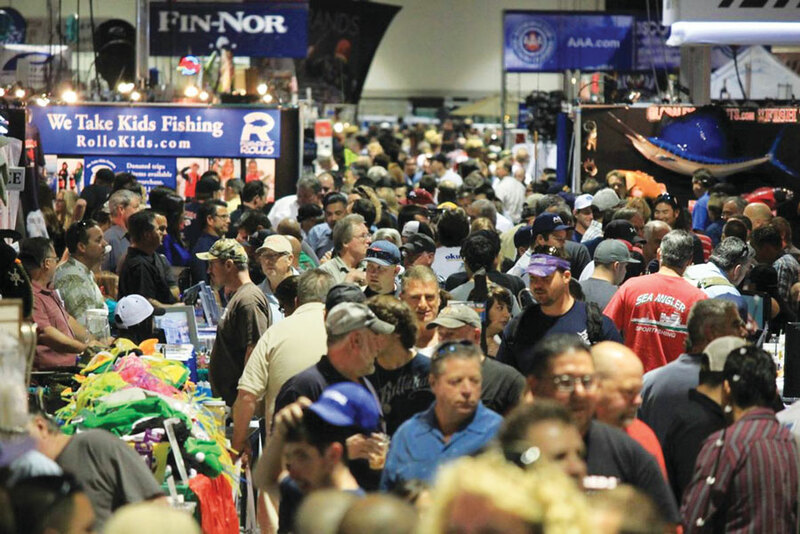 The Fred Hall Shows are the largest consumer fishing shows in the world —and they also showcase more boats, more shooting sports gear and more travel and vacation opportunities than you are likely to see anywhere else. Be sure to visit The Log/FishRap booth, where you can sign up for a free digital subscription and e-newsletter to be automatically entered to win the grand prize — a Malibu Sierra 10 kayak. The kayak features an adjustable foot track system, front and rear bungee storage, two rod holders, amply storage and is equipped with an Apex 1 seat. The drawing for the grand prize will be on March 30 — and the winner will be announced in the April 10 issue of The Log Newspaper. Winners do not have to be present to claim prizes. Fred Hall Del Mar Show hours are noon to 8 p.m. weekdays, 10 a.m. to 8 p.m. Saturday and 10 a.m. to 6 p.m. Sunday. Admission is $13 for adults, $12 for seniors and free for active military personnel and children 15 and younger with a paid adult. Buy tickets in advance at fredhall.com or in person at the door. For more information, visit fredhall.com.